Hi ladies and gentlemen, today i will present you my proposed space mission. Note that i am not an engineer, scientist or an astronaut, i am regular human bean just like you. Also, i sure, know that nothing of what i mentioned will work, just want to know what exactly is the problem. The point of the thread is for you, to critisize and rethink the undone, unthought and incomplete parts of proposed mission, you also can admire a few things, if you want so. Interesting and strangely enough, the crew won't have a single crew member who is scientist, directly. 3 Alpinists and a single Pilot. First of all, the landing site is a mountain, also the route that the crew has to complete, also goes through steep and rough terrain. Also, alpinists have a better physical and psychical appearence than most of the scientist. 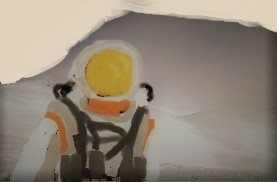 Why would you go to Mars, and not bring a scientist? All the experiments will be perfored by the crew, with the help of scientists back on earth, scientific data will be transmited. First we will send the unmanned lander to EO. 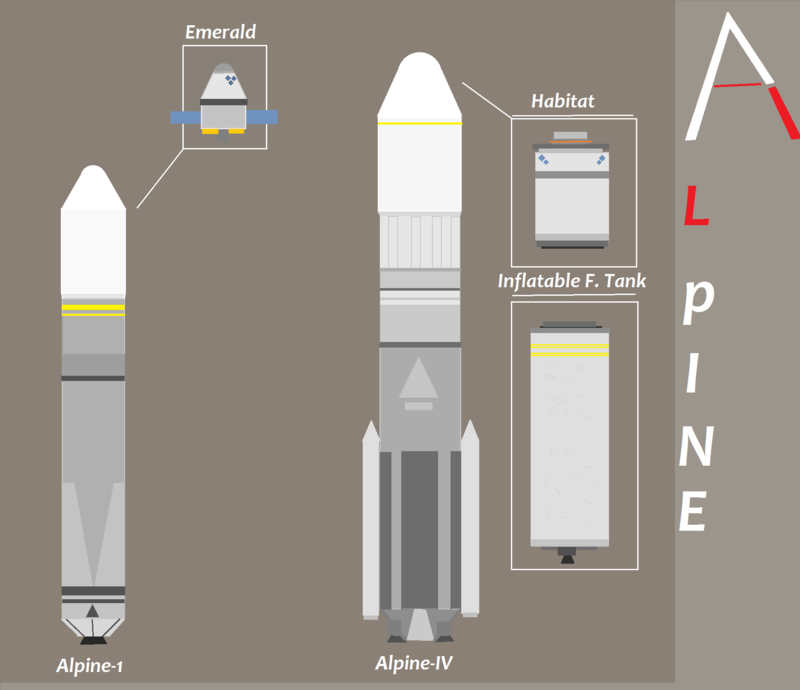 The rocket that will bring it all the way to EO is also there, its name is "Alpine-VI". Launch an inflatable fuel tank to randezvous the lander. It will be rufueled by the "Emerald-F" spacecraft, that will be launched multiple times. Note that the "Emerald" spacecraft can be adapted for crew. After the lander have docked to the filled fuel tank, it will begin its journey to Mars. The next thing to be launched is the crew, so we'll have to repeat the previous actions. Except the Habitat will dock to the fuel tank first, then the Emerald fuel tank will dock to the Habitat. Then it will go for Mars. When the lander will arrive at Mars, it will correct its trajectory shortly aerobrake (just skimmiring the high layers of atmosphere), then proceeding to capture using engines. Then, the crew will arrive, after it will capture relying entirely on the engines, it will randezvous to the lander ship, after getting close in, most of the leftover fuel will be pumped into the main ship (emerald and habitat), to make it possible to return. Also, the crew performs an EVA and boards the lander. They will depart to the surface of Martian surface, more precisly-Olimpus Mons. The landing will be more of an Appolo styled one, due to little to no atmosphere up there. After landing, the crew will assemble the rover, it will be used to carry life support and scientific intruments. They will make 2 day hiking journey to the edge of the mountain, after that, 2 of 4 crew members will descent down using Alpine style (no stopping for long or large camps) 4 kilometers,taking 1 kilogram of samples there, then returning back to the 2 people left observing the suitation. Then, the crew will deflate the dome, and board the lander, preparing to departure back to randezvous with the habitat in the martian lander. In a few hours, they will complete that task. Crew will arrive back at earth in a few months, with a tiny amount of life support left, they will do powered capture, and then perform an entry burn. They will soon get recouvered, returned back to the "Vostochniy" kosmodrome. Begin to roast me now, just make it painful. Crew will arrive back at earth in a few months, with a tiny amount of life support left, they will do powered capture, and then perform a suicide burn. One thing I picked up straight away. A suicide burn is where you start burning as you move towards the ground so you have 0 velocity just as you reach the ground (the sort of thing the Falcon 9 first stage does when it lands on the barge). I'm not really sure what you're trying to explain here (maybe an entry burn? ), but whatever it is, it's not a suicide burn. My more general question is why the alpinists? 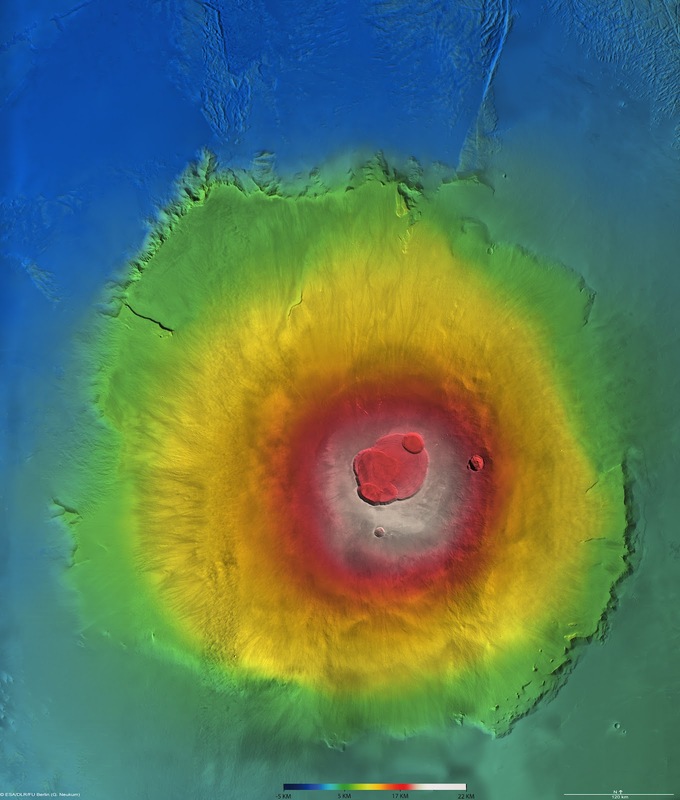 Olympus Mons is a huge shield volcano with an incredibly gentle slope, (wikipedia states a 5 degree average gradient) and geography that is pretty far away from alpine. If you chose your path carefully, you could probably drive a rover for the entire mission without needing to hike at all. Just a question, have you ever been on a mountain? You don't even need slope or something just to kill yourself, mountain and it's features will do the job. +2 of the crew members will go beyond the edge of the shield part of the mountain, and it is pretty steep. Rover, is pretty good suggestion. But the thing is that astronauts will spend days descending, so they need life support,rover will carry oxygen and water tanks. What does landing on Olympus Mons be advantageous of ? Are there any precise alignment such that the lowest dV or fastest but low dV transfer from Earth would allow direct entry to Olympus Mons ? Or are there other advantages, like presence of surface water-ice or water mineral deposits or such ? AFAIK the only probable advantage of landing on Olympus Mons is perhaps the lack of significant heat shield required. But I'm not sure so TBH landing on any point on Mars doesn't really have any advantage trajectory-wise or craft-wise until proven otherwise. I have been to a mountain. However, my point is that Olypus Mons isn't mountainous, it's an enormous shield volcano that is almost devoid of any "mountainous" features. Ancient lava flows means that much of the surface is smooth and most of the notable features are craters. What is the purpose of climbing down the cliffs? If you want to get to the bottom, surely it's easier to land on the flat regions surrounding the volcano nearby and drive to the bottom of the cliffs, or alternatively land on the mountain and drive down the ramp-like sections on one of its sides (see image in spoiler, there are "ramps" on the east and west sides)? Good concept, although it is probably possible to get Alphinists who are scientists too. You should check out Robert Zubrin's work on a Mars mission, mainly saving lots of money by making fuel on Mars itself, so the Emerald refueling missions will be not needed, instead stuffing a relatively small hydrogen tank (a component needed to make the fuel) and what the game calls an ISRU and there you have saved millions. Although for your landing site this might not be practical due to the atmospheric pressure (the process to make fuel requires taking CO2 out of the atmosphere). Oh yeah good point,but maybe there is something else to explore on the Olimpus Mon? Like the crater of the volcano? Or something else perhaps. Because that's the point of the mission, to explore the Olimpus Mons. And some of the inaccessible due to distance, places on the volcano. Would be cool if you made your own, I can help you with illustrations! Most Mars missions plan to land on low ground, because the atmosphere is denser, which is optimal for the use of parachutes and aerobraking. 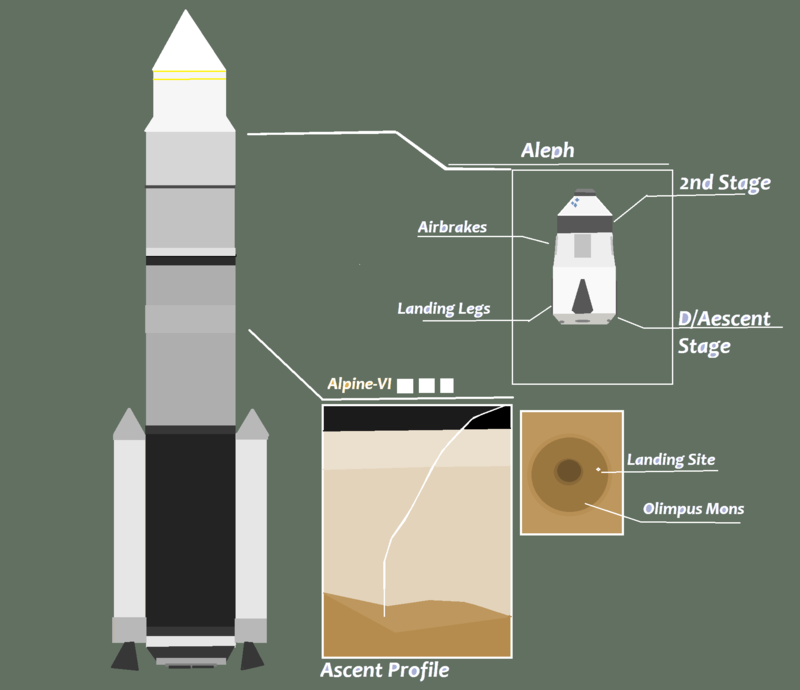 Landing on Olympus Mons is the opposite, meaning that you need to replace your parachutes with a deceleration, which requires more propellant, and therefore a heavier rocket. A long and perillous EVA like the one you propose would be hard. Moutain hiking is dangerous. Mars is dangerous. Hiking on Mars is doubly dangerous. 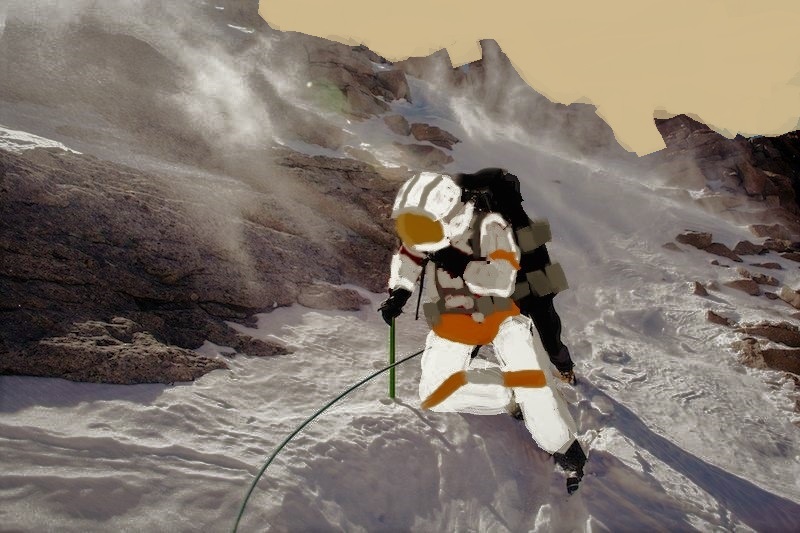 Hiking with an EVA suit and life support system, containing several days of supplies, will be extremely cumbersome and risky. If the supplies run out, they die. If they get a crack in their helmet or a rip in the suit, they die. If they get lost, they die. If they break a leg, they die. I also don't think there is any advantage of sending alpinists, since the environment is very different from any Earth mountain. So, I'm sorry, but it is too perilous for an early mission. Maybe later, when there is an established base on Mars, with redundant rovers and maybe air support, it might be feasible, but as an early mission staged from Earth, it is too risky and suboptimal. Your mission profile actually makes things more difficult, more expensive, and more dangerous, rather than easier, cheaper, or safer. There is no advantage. Also, inflatable propellant tanks ? Using a spent tank as a heat shield ? You can't be serious. You did what I asked for. If it's heavy but it WILL work every single time, then it's OK.
a. Some river bed ? We technically deploy a rover; it is still there ready to rove, although only a few super heavy experiment equipment is there, and a not really good transmitter. how do you know there weren't any rivers on Olimpus Mons? Sort of a pretty difficult place to get to, but the same goes for Olimpus..
Perhaps it is a little bit too extreme condition. So leave out the alpinists, the life support, the inflatable hab, and the propellant for return to Earth, and replace all that mass with experiments and automated science equipment. And a really good transmitter. Even better, make it an autonomous crawler robot, with legs. All the orbiters sent to Mars also serve as communications relays as a secondary mission. So, not useless at all. Olympus Mons is a volcanic formation. Your main scientific focus would be on the lava flows and rock composition. There might be some glacier activity, but that would be seasonal. If you want to study river beds where there have been permanent water flows, you are better off visiting the ancient river beds in plains. 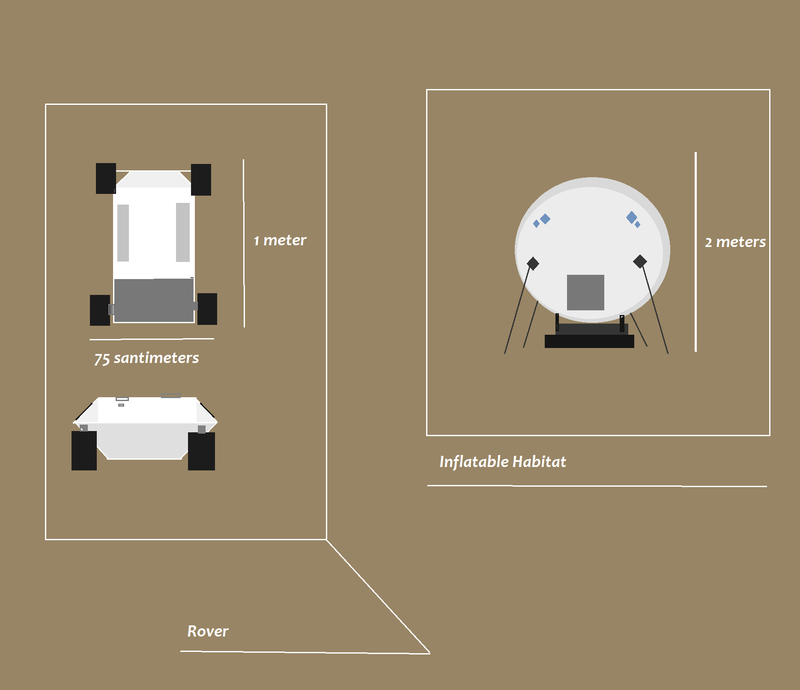 1 : Automatic orbiter and rover can do what humans do if designed properly. 2 A : ... because there isn't any. It's too uniform and too gentle. I'm pretty sure Jerry would love to go. What's the point of manned missions at all then? It is an achievement, let's say we all went nuts, and we want to get there, just because. Yeah, when i was a little bit younger i thought that olimpus mons looks like shield because it was washed by an ocean or something on its sides. But also, we know that one cell orgaince life can be formed close to volcanoes, if the climate is optimal. Typically fro a manned mission, you want to have a something to do that only a human can do. Obviously early missions you can get away with "we went because we wanted to go", but after a few manned missions, you need some purpose in order to justify sending people. I'm sure between us there is a mission objective that can be created that requires humans. Organic life doesn't tend to form near overground volcanoes, they're usually far too hot and arid, especially not enormous ones with basically no atmospheres. It does seem form around undersea volcanic vents on Earth though, which might be what you were thinking of. Organic life doesn't tend to form near overground volcanoes. It does seem form around undersea volcanic vents though. Maybe leaving a functional rover and a deployable dome is a start for a little base? It is quite difficult to complete that with robots. It surely is easy for robots to deploy the dome, but making up the inside and preparing stuff around,so the future visitors can actually stay at the base and go further than the previous one, is a really precisious job that can be done by humans. You'd want to do that in the lowplains. We weren't "descended" off the top of Kilimanjaro, you know. Seriously, the only reason "why should hoomans be there" now is that "because we should". If it ain't worth it, it's not good. Besides that, why are there bases on Earth's poles? What are they doing there? Hey! The forum updated! Cool! Yup. Colours looks a bit horrible though IMO. Could we get a setting whether the colour scheme can be adjusted like what it was when logged in ? I give you an opportunity to create thread about that first. Meteorology, usually ! Why they're there then have more to do with that they can repair stuff. The meteorology is needed all the time, they're there to ensure that happens. Not only. They also do geology, survey the ice layer, magnetic field studies, astronomy, etc... basically all fields of earth observation physics. The only point of manned missions is to learn how to do manned missions. Any other field can be studied by remote experimentation for much cheaper than sending human operators. Depends. If it is during a heated space race it is for achievements, and if we are endangered by paranoia nuclear war and stuff, we do it for survival. We went to the Moon because we wanted to. We went to Mars because we had to.